How did the Panama Football Team, inundated with the phantom hand of drug cartels & no legacy, beat the USA to win a World Cup 2018 berth? FP investigates. It was just over 500 years ago that Spanish explorer Vasco Núñez de Balboa landed on the shores of Panama and declared it as being a nation of mass potential. ‘’The Isthmus of Panama’’ was one of the great discoveries made in global exploration – it was land that linked North America with South America, providing a vital connection that would be sought after for centuries to come. This connection has become part of the DNA of the land – transfusing itself into the Panamanian footballing culture, a North American nation that plays with the flair and intensity of their South American counterparts. Panama. A nation burdened by history with the label of “potential” that has, in footballing terms, begun to fulfill that label with qualification for the 2018 World Cup. Football has a remarkable way of entangling itself within a historical narrative and Panama’s last two World Cup qualifying campaigns have been no different. They have been defeated in the cruelest of ways and then consequently been miraculous victors, both times in scenarios involving a nation they’ve had a somewhat complex relationship with…the USA. Panama’s history is similar to many Central American nations – its central theme is a violent struggle for freedom. With 4 million inhabitants, the country was owned by Spain before becoming part of Colombia. An eventual independence revolution came in 1903, aided by a United States predominantly interested in building a massive canal in the country to forge the link between the Atlantic and the Pacific Ocean. It would go on to be originally named the Panama Canal. Panama would eventually reclaim ownership of the Canal in 1999. The building of the Canal also saw vast numbers of Caribbean workers immigrating to Panama for work; they would settle on the island and create the significant Afro-Panamanian population of the country. It was in the watershed year of 1989, when Communism took its last breath in Europe, that the USA also invaded Panama in their quest to rid the world of Panama’s leader Manuel Noreiga. Noreiga made his fortunes through drug trafficking with cartels and was also ironically an ally of the US Government for many years before things turned sour. The US involvement in Panama essentially framed the historical narrative of the nation throughout the 20th century. Panama, in turn, would alter the historical narrative of 21st-century football in America by eliminating them from the 2018 World Cup and forcing a self-reflection of the sport in the USA. The American influence still remains in the country today – baseball is the national sport and basketball also has mass popularity. However, recent years have seen a growth in football, and undoubtedly their debut in the 2018 World Cup, not forgetting the following day’s National Holiday that greeted the qualification, will massively increase that support. What’s unique about Panama Football Team is that they’ve not had an iconic player or a household name to galvanise them to qualification. Their gradual progress on the international footballing stage owes itself to more of a collective effort made up of very good but understated players. Ironically, for a team now set to play England next year in Russia, it was an Englishman who kickstarted the footballing revolution in Panama. Gary Stempel, who was born in Panama, left for England as a five-year-old, becoming involved with Millwall football club, but returned to his country of birth over 30 years later. Stempel led the Under-20 side to their first ever World Cup in 2003, before taking over the senior team in 2008 for a year. The qualification for that Under-20 World Cup can be seen as a watershed moment for the sport in the country; despite losing all three games, the team got widespread coverage and sponsors began to invest in football, a much needed investment that could spearhead a development programme in the country. Stempel would talk about the pressures of coaching the Panama Football Team at the time: “If you lose two games in a row, which I did, you get death threats from gangs.” Many young players would fall into the hands of gangs, and with a border shared with Colombia, the widespread issue of drug cartels is still prominent in the country. 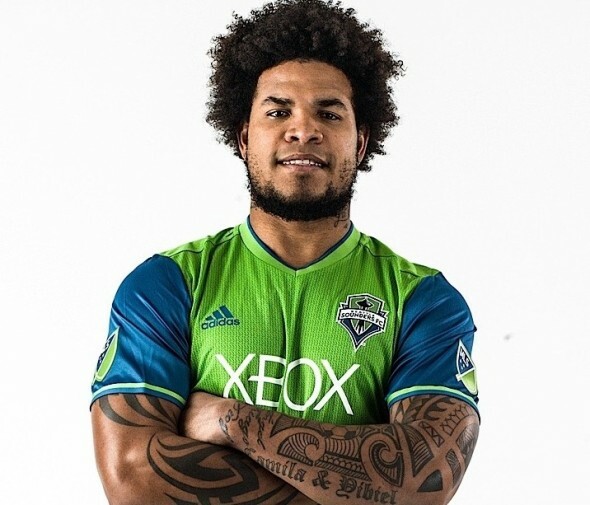 It was Stempel who discovered a 16-year-old Roman Torres in 2003, the young boy who would become the defender that would write himself into Panamanian history by scoring the goal that took his nation to the World Cup. “He came from the streets, we literally picked him from nowhere,” Stempel would say of Torres. After that Under-20 success in 2003, Los Canaleros continued to make improvements on a regional level; in 2005 they reached the final of the CONCACAF Gold Cup, won the Central American regional title, the Copa Centroamericana championship in 2007, then followed it up by making the final of the CONCACAF Gold Cup again in 2013, losing to USA. Colombian coach Hernan Gomez was then employed in 2014 in an attempt to reach the World Cup. Gomez is no stranger to bucking the trend: he took Ecuador to their first World Cup in 2002. Panama’s progress in regional competitions over the years meant they were crucially seeded for the 2018 World Cup Qualifiers, and entered in the fourth round avoiding potentially tricky two-legged games in earlier rounds. Despite two losses to Costa Rica in qualifying, Panama made the final group stage as runners-up, easily qualifying ahead of Caribbean nations Haiti and Jamaica, which was somewhat of a surprise, bearing in mind Jamaica themselves had made the final of the Gold Cup in 2015. In the final group stage, Panama seemed to be predictably faltering at the final hurdle once again – an early loss to Trinidad and Tobago could have been fatal, but vital draws against the best three sides in the region (Mexico, USA and Costa Rica), kept them alive. A 4-0 thrashing by USA in their penultimate game seemed to have ended the nation’s dreams, as it threw up the equation of Panama needing to beat Costa Rica in their final game and hope other results would go their way. So it was on 10th October 2017 that folklore was written. 1-1 going into the 87th minute, a deadlock seems inevitable, with the hosts Panama having equalised through a goal that actually did not cross the line. Panama then send a long ball forward, it’s headed into Costa Rica’s box, and defender Roman Torres, the kid who had been persuaded to take football seriously way back in 2003 by Gary Stempel, was now a man who struck the ball with all the velocity of history in his boot. Goal. 2-1. Men cry. Panama erupts. This is what the World Cup does. USA had lost 2-1 to Trinidad and Tobago. Torres, who plays in the MLS for Seattle Sounders, has just eliminated the country he lives in and become a national hero in the country of his birth at the same time. “I was pitchside and I’ve got no shame in saying that I had tears in my eyes,” Stempel would say of the monumental game vs Costa Rica. It is telling that in the final group of qualification, Panama’s top scorers were Roman and Gabriel Torres with two goals each. A compact side, this team shares the goals around, and they do not rely on one person to fire them to victory. Although striker Gabriel Torres will be seen as their key man having been in rich form this year for the side. Armando Cooper, a midfielder, will act as the engine of the team, and will no doubt be high in confidence after recently winning the MLS season with Toronto FC. Whilst the core of the squad play locally, the team do have players with enough experience in overseas leagues such as MLS to pose a threat and handle the big stage of the World Cup. England manager Gareth Southgate recently said that he’s been studying the Panama Football Team. This might be problematic, but their unpredictability and unwillingness to burden one player as the star man makes them an enigma. That’s why they will be tricky opposition for Belgium, Tunisia and England this summer and will hope to leave the biggest global legacy the country’s seen since that famous canal.